Automotive interior and exterior lighting technology has evolved significantly in the past two decades since the advent of White Light LEDs and OLEDs in the mid-1990s and it is developing rapidly in recent years. The use of LED lighting in automobiles is expected to grow to up to 300 units by 2021. Interior accent mood lighting and backlit digital screens bring out new functional and aesthetic design options with OLEDs that amaze. Exterior signature lighting, turn signals, fog and daytime running lights, low and high beam projectors are all revolutionized. LED headlamp efficiency and new design options are yielding light where it is needed most and shielding other areas from glare. Incandescent, Fluorescent and Metal-halide light sources emit most of the electric energy in the form of heat, making them tremendously inefficient and are poor performers in many metrics compared to LED. LED is 5 times more efficient; saving on fuel consumption on petroleum vehicles and extending driving range on electric vehicles. LED boasts 10 to 50 times longer life than traditional light sources. Light output remains constant over time, only decreasing towards the end of the rated lifetime. LED is durable – won’t break like a bulb. Excellent color quality. The shade of white light appears clear and consistent, even over time. Despite US Government standards and recent strides in lighting technology, the Insurance Institute for Highway Safety states many of the vehicles sold today have inadequate headlights. IIHS engineers rate headlamp performance on 5 different approaches by measuring how far the light extends with an intensity of at least 5 lux. For comparison, a full moon on a cloudless night illuminates the ground below to about 1 lux. Glare tests are also performed, and an overall safety score given. Vehicles will be excluded from consideration in the coveted IIHS “Top Safety Picks” if they do not score a “Good” rating. Insurance premiums are heavily affected by the IIHS test score. Due to this, many LED headlamp projectors are designed with new IIHS guidelines in mind. Forcing product design, manufacturing and testing requirements to be refined. Better performance, efficiency and environmental impact doesn’t come without challenges. Demand for reliability. Reliability required for safety as the communication of automobile’s status depends on signals and lights. Guarding against electromagnetic interference. Special provisions for human and machine part handling must be strictly adhered to. Frequent testing of monitoring devices must be performed at all assembly stages as Electro Static Discharge can cause the LED to fail. Handling thermal management. LED life expectancy is compromised when subjected to excessive high junction temperatures and harsh climates. Design considerations require Light Driver Modules to monitor heat sink temperature to adjust current output accordingly. Instrument panel assembly. System must be small and flexible enough to interface with different digital electronic control units. LED assembly at the light engine level is tricky. Rather than applying the standard power connection to a bulb, most LED systems are driven by complex controls systems on printed circuit boards monitoring LED temperature. 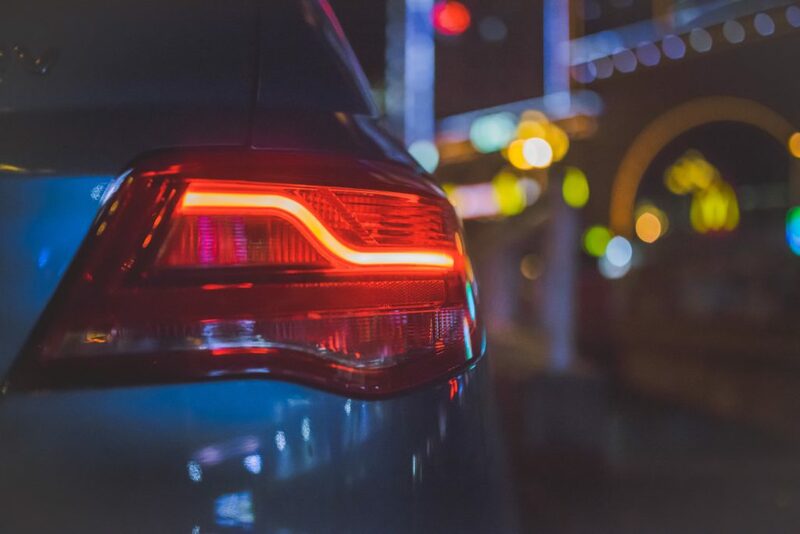 Thorough testing of LED devices is required with vision and special communication protocols to ensure diagnostic functionality for vehicle safety. Uniformity of color. White light LEDs have a phosphor coating that can be removed and can sometimes have color hues visible to the human eye. Thorough vision checks are performed to screen for these conditions. Automotive manufacturing machinery can be developed to these challenges by using innovative solutions beginning with the design phase and extending through automotive lighting testing per SAE recommended practices.